By ROBERT BURNS | Associated Press – Thu, Jan 31, 2013. WASHINGTON (AP) — Chuck Hagel says a funny thing happened on his way to the Vietnam War as an Army private 45 years ago. He almost went, instead, to Germany as one of nine soldiers entrusted with a top-secret shoulder-fired missile designed to shoot down Soviet MiG fighters in the event the Soviets launched an invasion of Western Europe. After two months of training on the weapon in New Mexico, and while packing up for his flight to Germany, Hagel decided he’d rather go to an actual war — Vietnam. His Army superiors, however, seemed to doubt the sanity of that choice and decided it better take a closer look at his motives for volunteering for combat. It was November 1967, at the height of the Vietnam War, and not a lot of enlisted men were begging to get there. 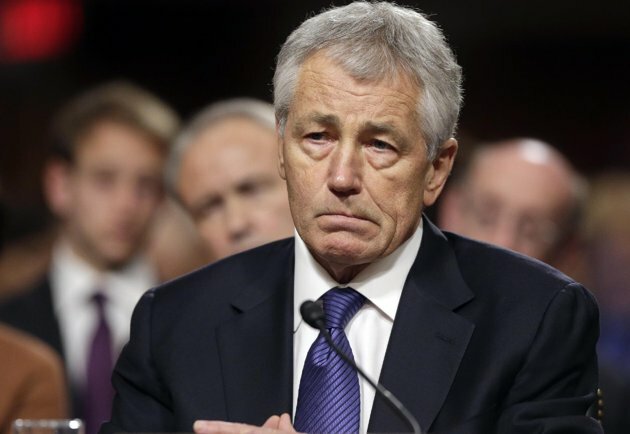 “They brought priests, rabbis, ministers, psychiatrists — all came in to examine me, thinking something was wrong, (thinking) I was running away from something or I’d killed somebody,” Hagel recalled in testimony Thursday before the Senate Armed Services Committee, which is considering his nomination to be secretary of defense. He said he underwent two days of tests, was deemed fit of mind and body, got his orders for Vietnam and soon headed for the war front, arriving in December. He was wounded twice in combat and returned home in 1968. If confirmed by the Senate, as expected, Hagel, 66, would be the first former enlisted soldier and first Vietnam veteran to serve as defense secretary.